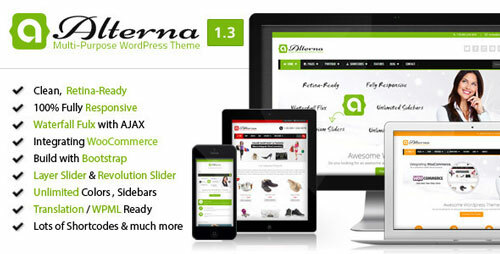 Alterna is an retina-ready, fully responsive Multi-Purpose WordPress Theme.Alterna gives you an awesome premium theme to create your website for any type of website; business, corporate, portfolio, blog, products, magazine, shop etc…Alterna also Integrate WooCommerce, WPML, Facebook Page etc… Alterna includes 2 Premium WP Slider : Layer Slider (3D & 2D transitions Slider new features) value 15$ , Revolution Slider value $15 , premium isotope value 25$ and has a lot of awesome features. 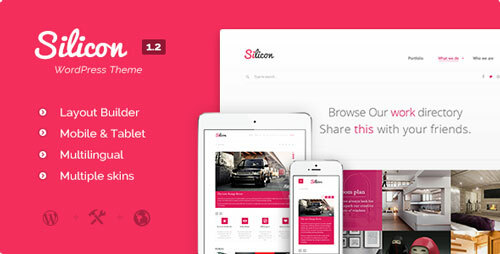 A top-notch solution to share your online magazine Neu is a magazine WordPress theme designed for a news site with a huge amount of content. Perfect for web publishers who deliver regular topic-centered content. Not only Neu is fully capable to handle your daily updates, it also provides you with a visually interesting solution. 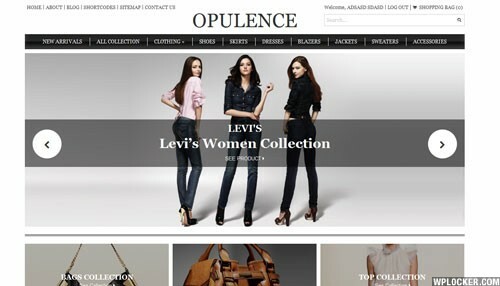 Opulence is all you need to start an online high fashion store. Sell hottest stilettos, designer bags, jewelry pieces, fabulous outfits and all things fashion. 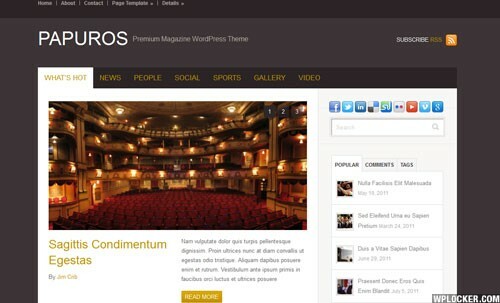 Talk about high fashion WordPress theme, Opulence is so many things in one. Its monochromatic color scheme radiates elegance and luxury. Its structured design stands out with editorial images that bring lust for fashion. It’s backed with a choice of powerful WordPress e-commerce plugins that ensures smooth online shopping experience. 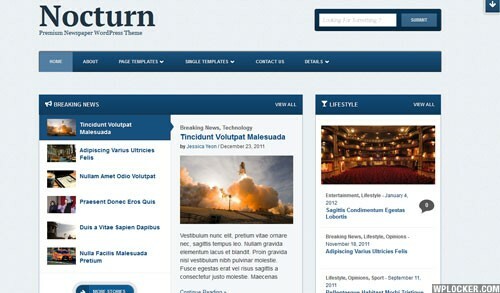 A magazine-style child theme for Backbone Papuros is a Child Theme of Backbone Theme Framework that has magazine-style layout. Papuros puts a lot of content on the page. 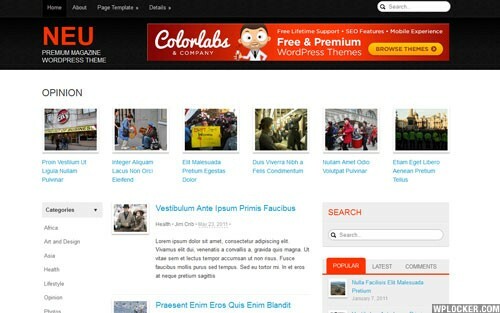 The homepage layout shows excerpts of headlines of articles from a variety of different categories or topics on the front page, allowing visitors to have easy access to more content compared to a typical blog-style layout. 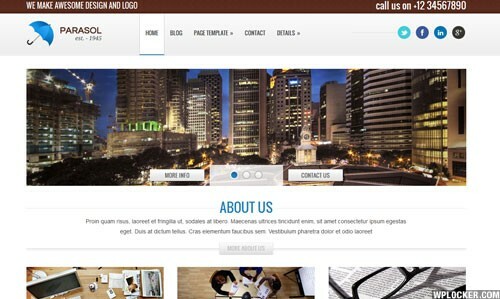 Built your own good-looking business site The Parasol theme is tailored to fit any kind of business of any size. Parasol will help you build a fast-loading website that will attract new business, project a professional image, and allow you to communicate effectively with customers, members, or employees. 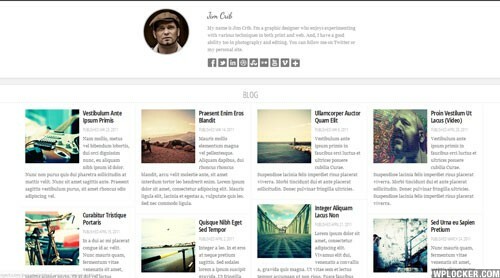 Let the world see what you're about at a glance Persona is a blog WordPress theme that will turn your blog into a social tool. Whether it’s a tweet on Twitter, a snapshot on Instagram, a recent post on Facebook or a vacation photos on Flickr, Persona will gather all you’ve posted on the internet, organize and bring them into focus. All posts are being displayed very attractively by visually promoting any image or video that is contained in the post. Start your emporium of luxurious branded items. Piazza is made and built to boost up your online sales and revenue. 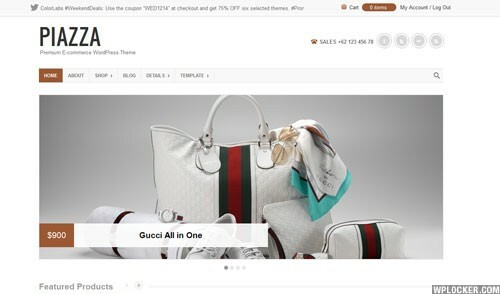 Get into the online industry of fashion and accessories with Piazza and build your own emporium of branded items. Having a clean and highly-customizable design, Piazza can be easily tailored to suit any brands and products. The minimalist look and abundance of white space are two strong design features that Piazza proposes.